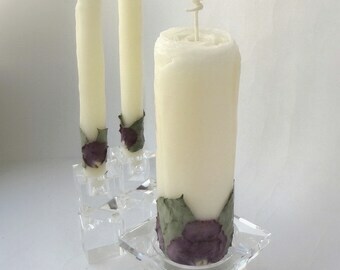 Simply gorgeous for wedding decor and gifts! 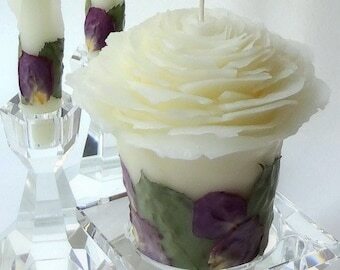 Unique rose-shaped taper candles in natural white beeswax, adorned with real rose petals & leaves. Available in 6", 8" or 10" tall, handmade to order with your choice of rose petal color. Using my original designs & techniques, each rose taper is individually hand-sculpted and adorned...no two look exactly the same. 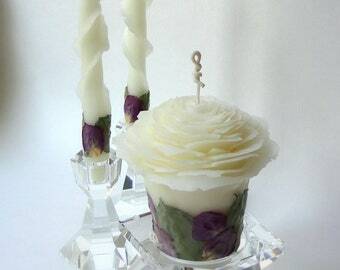 "I absolutely LOVE 💗 these candles. They are unique and so beautiful in person. I bought them as a wedding anniversary gift, they're perfect! The owner of the shop is so great to do business with as well. Very professional and timely with delivery. The candles were packaged well, too!" 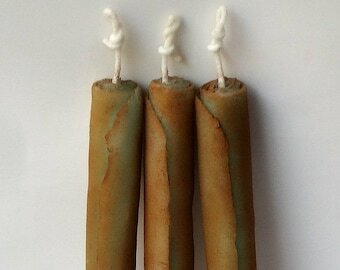 "I love my taper candles! They are going to be perfect for me unity ceremony. Also I received great communication about the status of my order during the entire process." Please contact me if you want to order a larger quantity than available in this listing. Paired tapers are made to complement each other, hand-built by shaping and dipping the delicate layers. No two candles look exactly the same. 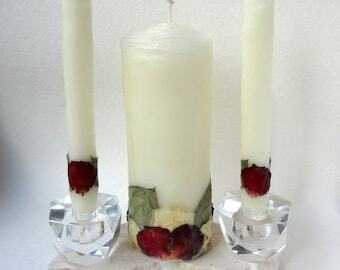 I make them to fit 3/4" - 7/8" candlesticks. 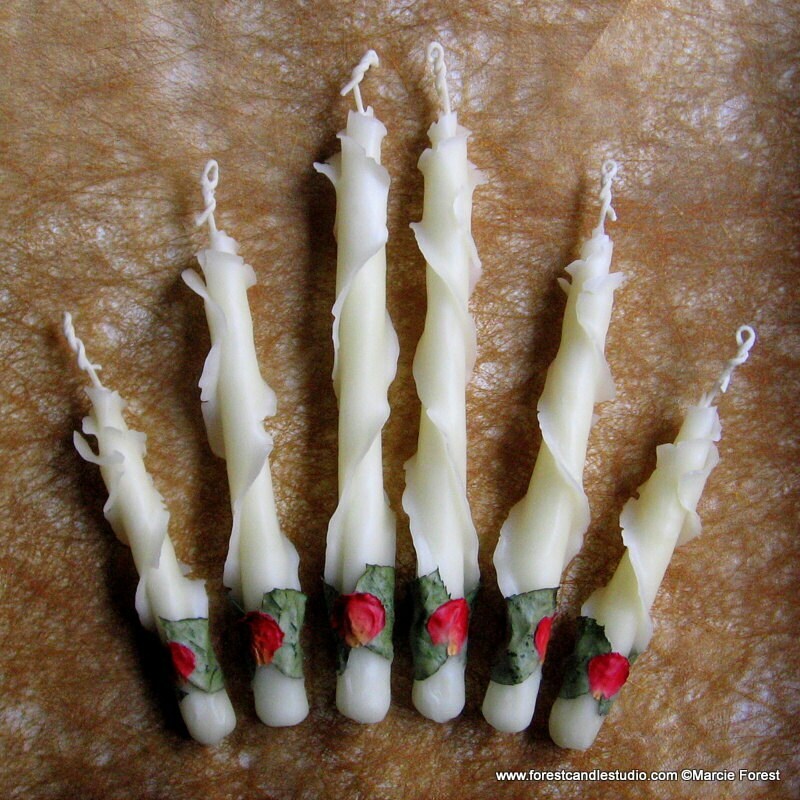 However, since each candle is hand-shaped & adorned, the sizes will vary slightly. Tell me during checkout if you need to receive your order by a specific date. The current estimated production time for this item is on the right-hand side or below this listing depending on your viewing device. Need it sooner than what's listed? Rush orders accommodated when possible (there may be an additional charge). In my signature packaging: natural kozo hemp lace paper tied with tulle ribbon. A Forest Candle Studio mini note card is enclosed (candle info & burning instructions are on the back). If being sent as a gift directly to the recipient, tell me their address & what message to write on the note card. My "standard" method of shipping is USPS Priority Mail with tracking & insurance; usually 2- 3 days delivery time but can take up to 5 days. Overnight delivery via Express Mail is an available option during checkout for an additional charge. If you purchase multiple items from my Etsy shop, I combine shipping when possible (if items can ship together in one box). If there are overages in ship fees paid I will refund to you via your original payment method.